It's been a hot second since I've done one of these posts and I don't know why it's taken me so long to get back to it because these are some of my favorite posts to compose and read. I love seeing interesting articles and what other people are currently into, so I thought I would get back to sharing my own! I'm kicking off my weekend tomorrow with a SoulCycle class with my favorite instructor, Katie and on Saturday we've got some family coming into town! This week was pretty busy and had a few unexpected things pop up so I am more than ready for the weekend. 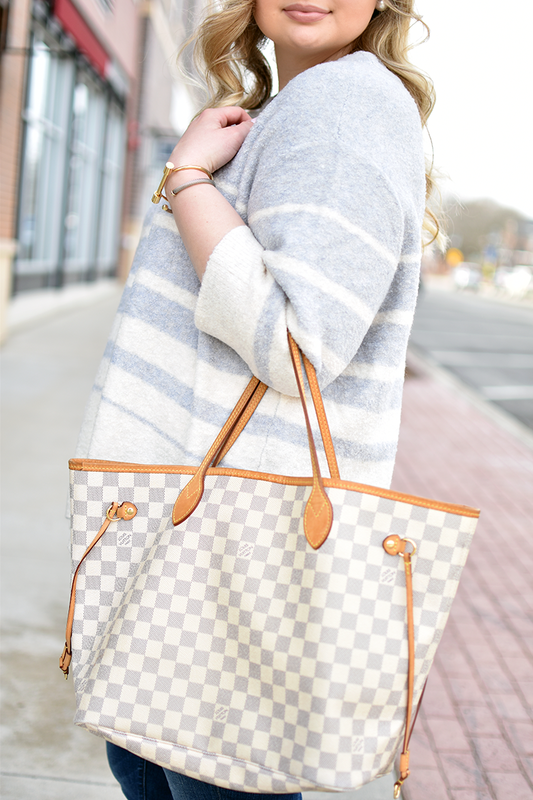 I've been eyeing this Blonde sweatshirt and also found a budget friendly option! I'm on the hunt for a few swim suits for an upcoming trip and this scalloped one shoulder suit is just too cute! I'm all about having an "emergency kit" in my purse at all times. How cute is this one for those days when you have a little too much rose? I love a good baseball cap (hello bad hair days!) and these airport code hats from Aviate are the perfect reminder of home or somewhere you've traveled to! The new trendy green drink that's been one of my personal favorites for years! I hope you have the best of weekends!